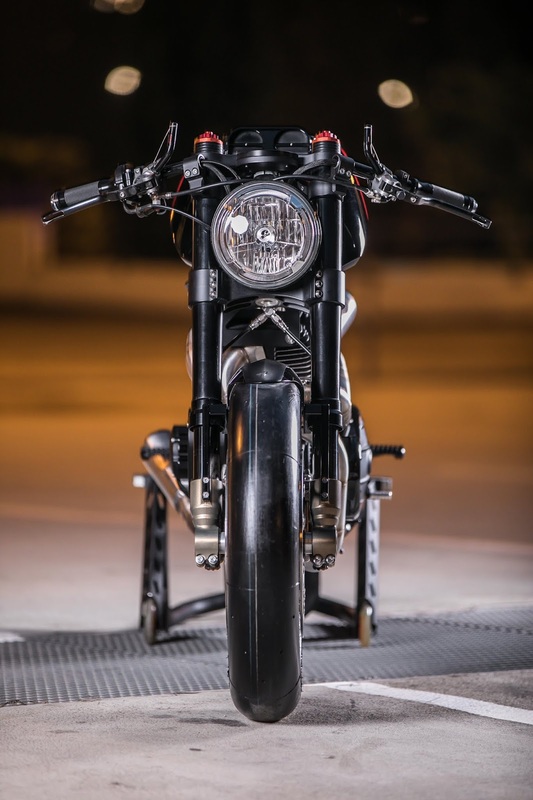 Today, we present the cafe racer built by the customs Ortolani. This workshop is based in Nice, France. 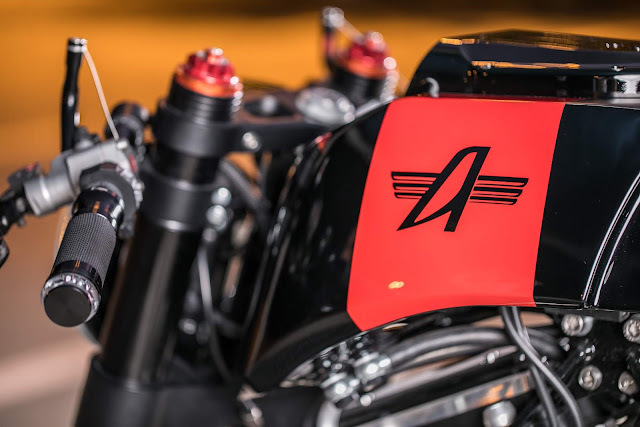 Olivier told us "he wants to continue his passion for customizing motorcycles with attention to detail and trying to bring his own personal touch." 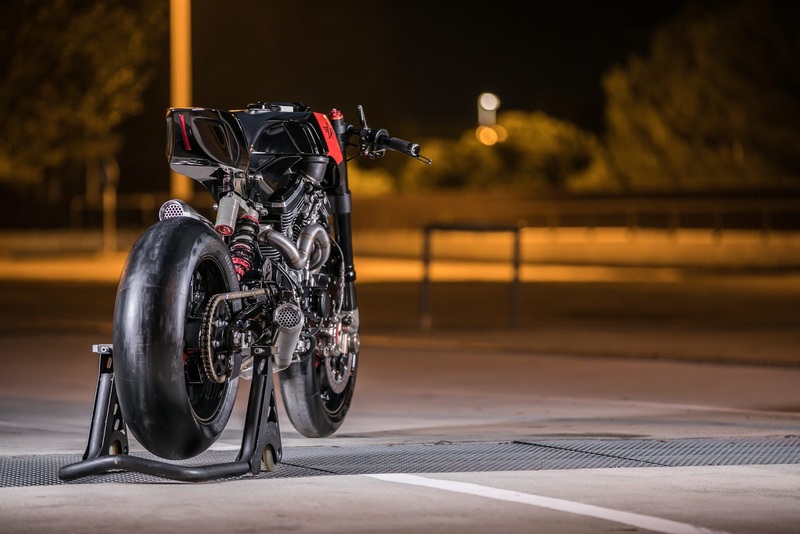 He said that the difficulty after a project like the Ducati Panigale was to find a project of the same size and I think that with the Avinton, the level was the same. 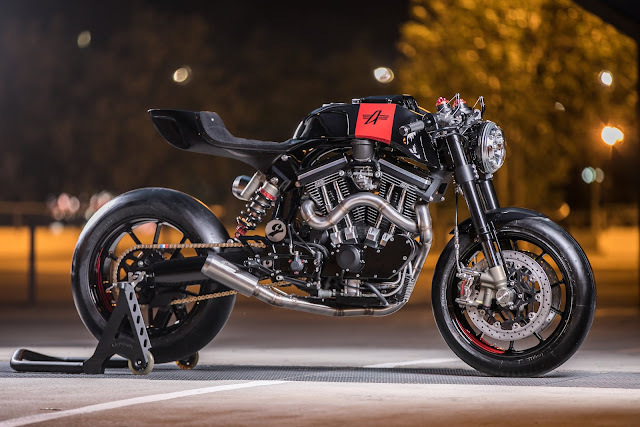 The Avinton can be classified in the Cafe Racer style, but when he thinks of the project, he does not think of giving it a universal style, the goal being that his work is compatible with the type of bike and the expectations of his client. He used a 2014 Avinton. It's a French motorcycle with S & S Engine. He was accused that the project was to lighten the back of the bike, which has a gas tank, so a heavy part, visually. He began repositioning the fuel tank while retaining Avinton's originality, including the position of the air filter. He first started making this tank with the positioning of the air filter, aluminum track. Subsequently, he created a lighter rear while maintaining a racy spirit. 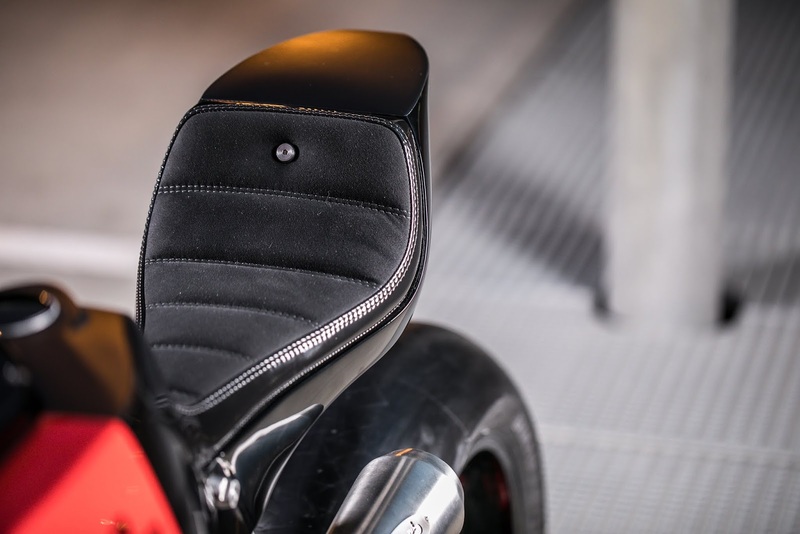 Electrical components such as the lithium battery, the Motogadget M unit and the rear light are all under the seat. For the cycle part, the fork and the rear shock have been replaced by MUPO (Italian brand in preparation). Under braking he placed the carved mass brembo (motoGP) with the Staubli system, the meter is a motogadget dashboard, the lighthouse is an adaptation of a Ducati Scrambler lighthouse. For the escapement he wants to take a break that recalls the architecture of the engine with a touch of motoGP. So I made the whole stainless steel with visible welds and 2 short enough not to be too present. The wheels are marchesini mounted slicks pirelli diablo supercorsa. 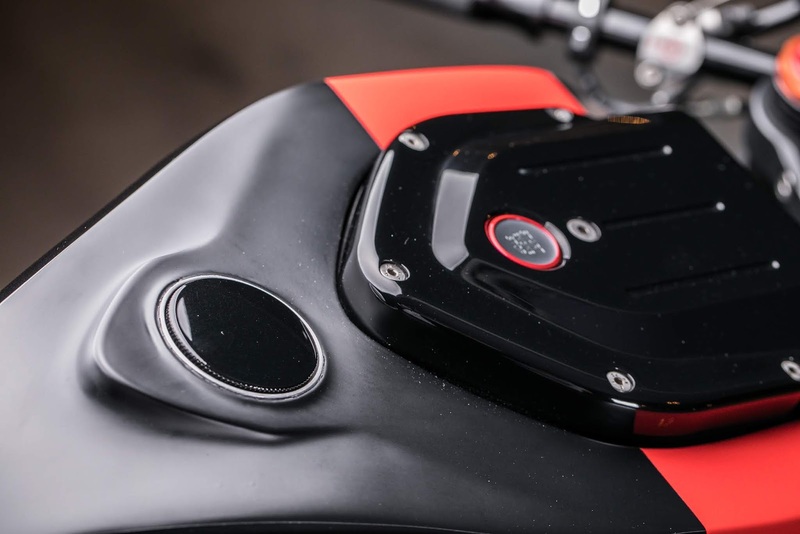 Finally, everything was painted glossy black with some touches of red and matte black on top to bring out the design of this aluminum body as if it had been created from an aluminum block.